As I sit here in Rabanal at our lunch break, I’ll take advantage of the wifi in the bar to catch up on the rest of yesterday’s adventures! 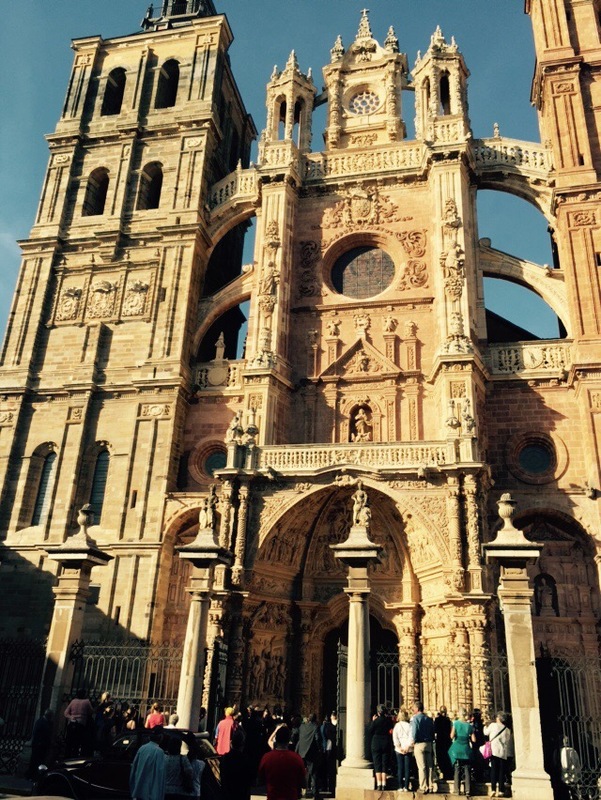 We arrived in Astorga around 4, and ran into many people we had met along the way… My Camino son, Francesco was in the cathedral square yo great us with big hugs…but before we could sit and chat, we all desperately wanted to wash to dust of the day off us! Into our Albergue we go to find Judith was on the upper level, and Sandra was in the room assigned to the three of us! A welcome reunion!!! 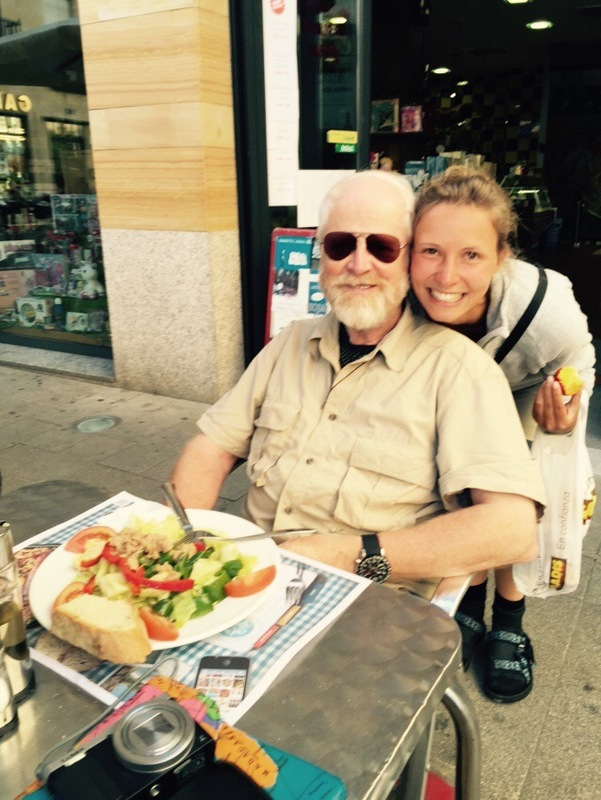 Sandra’s leg was not good… She has decided to stay in Astorga for 2 more nights to rest it and hopefully will be able to rejoin us later in the trip … I gave her our itinerary, so if she were to bus somewhere, she could get ahead of us and meet us. I’m hoping she can continue!!! After our reunion, Lisa and I decided to do a small shop for stuff for tomorrow… A wedding was just exiting the cathedral to the sounds of the most interesting music! While in the main square, we ran into Alan, whom Dan and I met on our first night in Orison. Such a sweetheart! 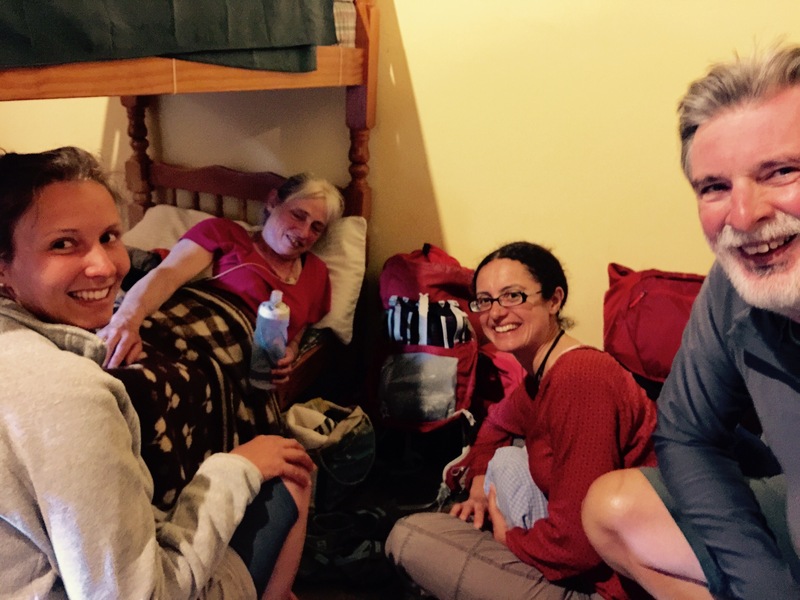 As a matter of fact, when we came back into town after shopping, we joined Alan for an “adequate” pilgrims meal as he finished his dessert and coffee…by the time we were finished, it was after 9:30, and we had to rush to get back to our Albergue before it was locked up for the night at 10:00… The only other exciting thing that happened was the volunteer for the Albergue came into our room at 10:10 to turn off the light, which meant climbing onto Sandra’s lower bunk, so that he could then stand on the edge of the upper bunk reach up and out to grab the bulb and switch which was probably 10-12 ft off the ground… Who needs Leno!!! Now back on the road again! Until tonight from Foncebafon!! !